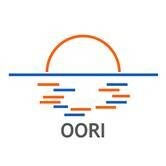 OORI – Oceans of Opportunities, Rivers of Ideas, is an alumni networking event organized by the ICP Master of Science programme in Marine and Lacustrine Science and Management. The event took place from 5 to 9 December 2018, at Vrije Universiteit Brussel and at Ghent Universiteit. The overall theme of the event was: "How to become a change agent in aquatic sciences?". The specific objective of the alumni event was to bring together wide experiences in research, education, management and governance through peer inspiration. Through this, the aim was to show how to make a different as a marine or lacustrine scientist, and become a change agent, which is a set objective of the VLIR-UOS policy. Alumni of ‘Oceans & Lakes’ and its root programmes FAME, ECOMAMA and MARELAC, lecturers in the programme, governance agents, research institutes and other stakeholders in the field were invited. Keynote speeches and pitch talks were given by alumni and stakeholders, and round table and open discussions (‘world café with participation by the public) were organized. The results of the round table and open discussions, as well as the wrap up session were translated into drawings by two visual artists. The entire event was livestreamed; recordings and other information are available on the website: www.oceansandlakes.ugent.be.